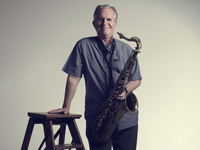 Scott Hamilton is the premier ‘mainstream’ saxophonist of today. 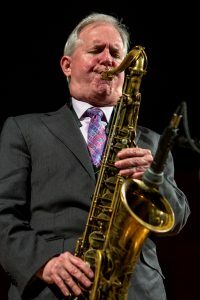 Born in Providence, Rhode Island, in 1954, he came along at the time when the kind of jazz he loved-the small-group swing of such great stylists as Illinois Jacquet and Eddie Lockjaw Davis-was out of fashion, and largely out of the public ear. Scott’s handsome sound and impeccable phrasing were a rare commodity among young jazzmen. So when he signed to Concord Records, and began making albums for label boss and mainstream advocate Carl Jefferson, it caused surprise and excitement among both devotees of the style, and in the wider musical world. His first Concord set, [Scott Hamilton is A Good Wind Who IS Blowing Us No Ill] was made in 1977 and took it’s title from an admiring remark from veteran jazz critic Leonard Feather. But it became only the first in a long and memorable series of albums for the label, which now stretches to nearly 30 releases They feature Scoff’s playing in all kinds of settings-with small groups, string orchestras, in partnership with such distinguished players as Ruby Braff and Dave McKenna, and in many other situations. 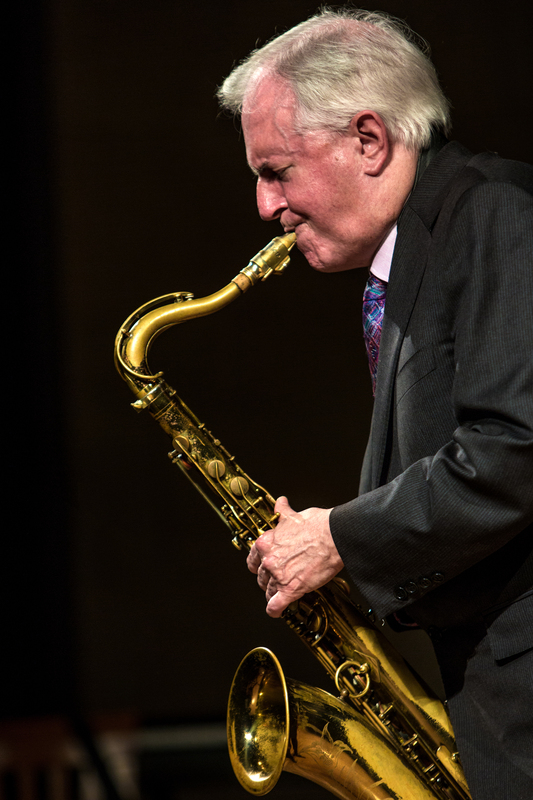 The constant is Scoff’s creative imagination and the beautiful, honeyed sound he gets out of the tenor saxophone. 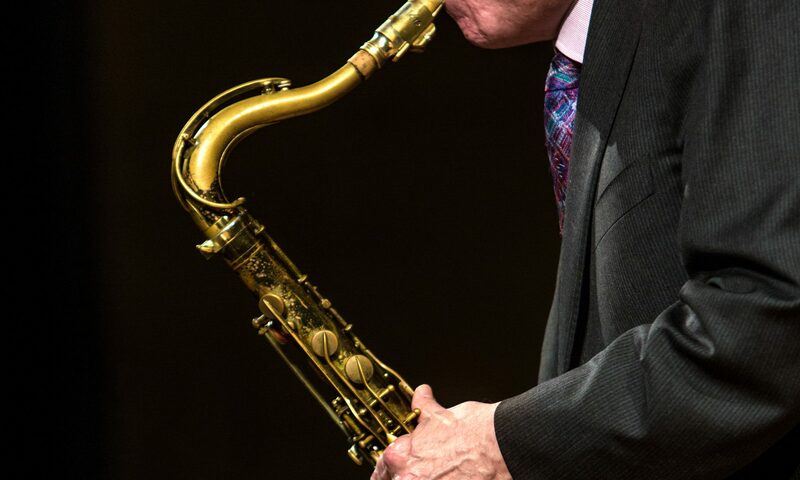 While he acknowledges the sidelong influence of players such as John Coltrane, he continues to perform the music he loves, which first brought him into jazz – great ballads and blues, played from the heart, with the timeless virtues of swinging playing underscoring every phrase. A worldwide following of admirers wouldn’t have it any other way. 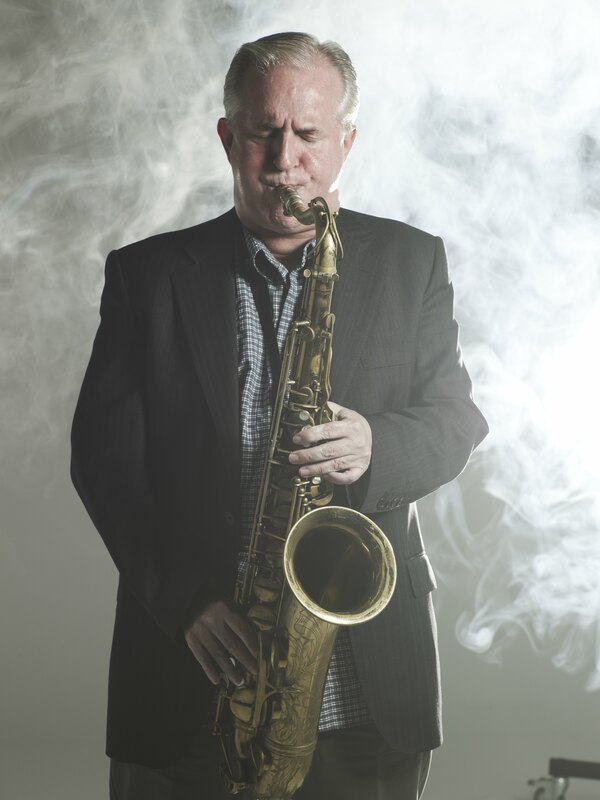 Long regarded a consummate interpreter of standards, Scoff Hamilton’s big, warm tenor saxophone tone and unerring sense of swing have a way of making every tune he plays uniquely his own. For his latest Concord Jazz outing, Hamilton-with the help of his simpatico group featuring John Bunch (piano), Dave Green (bass), and Steve Brown (drums)-presents some of his very favorite tunes. Tunes which happen to have been penned by other great jazz players, including such legendary jazz musicians/composers as Dave Brubeck, Fats Waller, Illinois Jacquet, Benny Carter, and many others. International JAZZ PRODUCTIONS is the trade name of independent jazz producer Jordi Suñol.